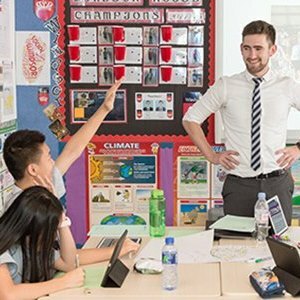 Every child is unique, and at NAIS HK we put this at the heart of everything we do. We designed our Sai Kung pre-school campus to be a place where children want to be, as well as a space where learning is at the centre of everything. As a preschool, we are passionate that children learn best through play and our children delight in the fact that their day feels full of opportunities to follow their interests and engage in activities that they find stimulating and enjoyable. We really allow their natural creativity and curiosity to blossom and we find ways for each unique child to be stimulated and developed in the manner best suited to them as an individual. 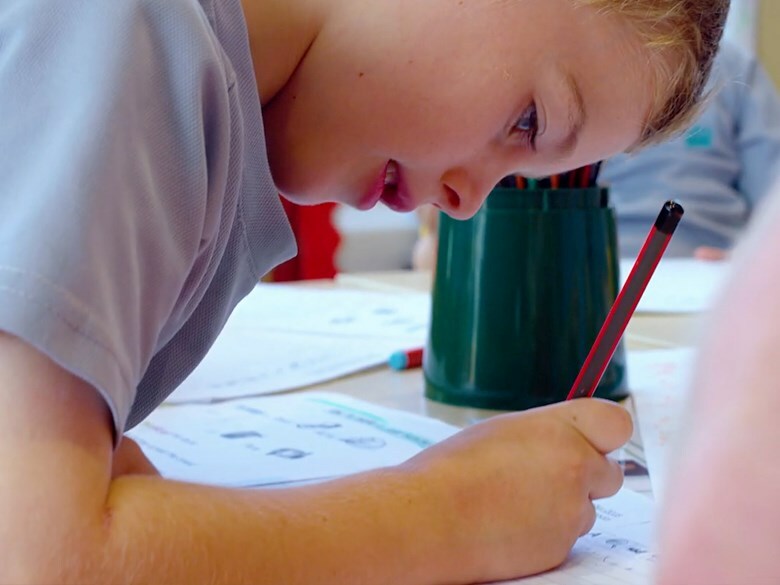 A few months ago we created a film to demonstrate how our individualised approach to learning helped a year one student, Jack Champion - to develop a love learning and quickly improve his reading and writing skills. Watch the film below. Our teachers are amazing and they make the process of making rapid progress in learning a positive, stimulating and happy one. What we see in ‘Jack’s story’ is a wonderful illustration of how our individualised approach leads to success for Jack. 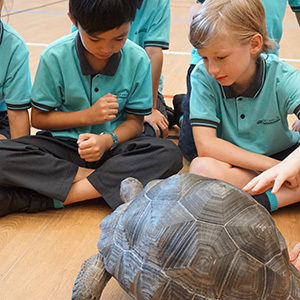 From the moment he arrived our teachers quickly built a trusting and warm relationship with him. This led to an in-depth understanding of his learning needs and where he was in his learning journey. His difficulties with writing were quickly identified and enhancements were made to his learning experience that would draw his interest and enable him to practice the skills he needed to achieve success. We also recognised that for Jack, ‘not finding something easy’ was a new and potentially difficult experience for him. The use of tough playdough in his pizza kitchen, helped him develop the muscles his fingers needed to grip a pencil. His interest in leading others was developed through role play and the creation of a mini-business – the pizza parlour, and this became his curriculum for a few weeks. This tapped into his personal characteristics and led to rapid progress. Alongside this we also supported his emotional and social development as he learnt strategies to cope with not feeling successful straight away, having to preserve with something he found difficult and how that tenacity can lead to success. 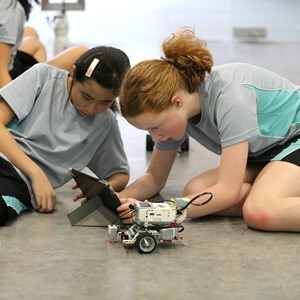 All these characteristics are vital for 21st Century learning skills and will support him throughout the rest of his schooling and his later life. Our approach to learning is holistic and our teachers are highly trained at developing all aspects of each child in the way that best suits that child at that time. Our approach to learning is holistic and our teachers are highly trained at developing all aspects of each child in the way that best suits that child at that time. 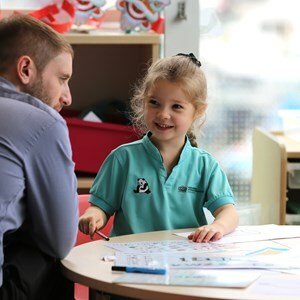 Although we follow the English Early Years Foundation Stage, this is our version that has been re-written, by our team, to cater for the individual needs of our children here in Hong Kong. Our children have a very different context to those in England, therefore our curriculum is bespoke to being part of an international community, our site here by the water and our ambitious outlook for their success. On top of this custom made curriculum we are constantly reviewing and rewriting it to adapt for the individuals in each stage of our school. Each child is unique and reflecting that is at the heart of what we do. Each child is unique and reflecting that is at the heart of what we do. All our children are different and we spend a lot of quality time getting to know them inside and out. We then use that knowledge to plan our environment and how we can enhance it to maximise opportunities for learning. Our teachers receive constant training that keeps them at the forefront of educational practice. This was noticeable when we recently hosted an Early Years Conference with COBIS. Here we were able to showcase and share our outstanding practice that leads to our children making rapid and accelerated progress through our play-based approach to learning.